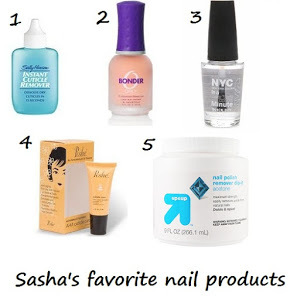 THINK: Mani must-haves for all nail lovers. WHAT THEY ARE: Brilliant high gloss shine or extreme matte finish to boost your latest look. 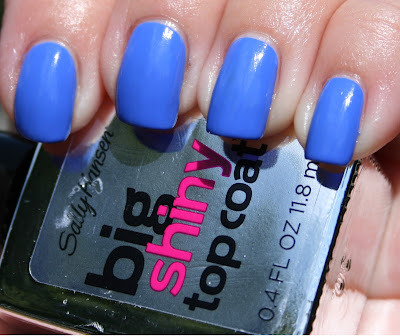 Sally Hansen® Big Shiny Top Coat™ and Big Matte Top Coat™ enhance, compliment, and protect your favorite nail creations from fading and losing their look. With these Top Coats you canamp up stylish 3-D textures, intricate designs, and precision stripes, apply over any Sally Hansen® nail color and even bare nails for an ultra-quick-drying layer of shine or matte effect along with nail-strengthening protection. Giving your nail color different looks with just a stroke of these top coats. Big Shiny Top Coat™: This innovative formula is fortified with an Acrylic Polymer Complex to help give your manicure a high shine and gel-like finish that dries in less than 60 seconds. The top coat applies smoothly evenly for easy application and brushes on without damaging nail art or smearing nail polish, making it the perfect enhancement and top seal for any manicure or a glossy polish for bare nails. Double UV filters also shield your manicure from fading and discoloring, so your nails look better longer. Big Matte Top Coat™: Transform a glossy manicure of any color into a velvety matte for an edgy, unexpected finish. Containing a mattifying Silica agent, the formula brushes on glossy before instantly drying to a matte top sealant. The smooth top coat applies evenly and easily and dries with lightning speed without smudging nail art or other special effect nail polishes and can also be applied to bare nails for an extreme matte look with a silky finish.